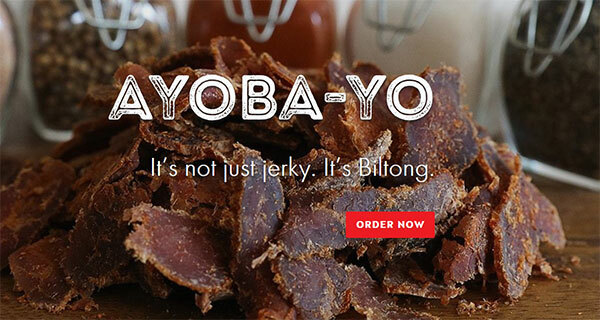 Introducing consumers to a new brand isn’t easy, but when the product is an entirely new concept, this challenge is magnified ten-fold, as illustrated by the struggles startup Ayoba-Yo experienced trying to explain biltong to American shoppers. In this episode of FoodNavigator-USA’s ‘Investing in the Future of Food’, the entrepreneurs behind the South African inspired brand explain how they tackle consumer education and how being a part of Kraft Heinz’s Springboard incubator is helping them improve their communication. “Biltong, first of all, is a South African product, and it is very popular in South Africa. Just like coffee over here is at every supermarket and every convenient store, biltong is in every butchery, every grocery store. It is widely available,”​ said Emil van Blommestein, co-owner of Ayoba-Yo. The air drying allows the muscle fibre to remain more intact, which means more protein than most other beef jerky products, he added. In addition, the brand doesn’t use any MSG, nitrates, soy, fillers or sugar – the last of which sets it apart from most beef jerky on the market, Van Blommestein said. The idea of biltong and the brand is that they are both larger than a protein-packed snack – they are something to be excited about and to share with others as a more sophisticated, nutritious alternative to everyday beef jerky, Van Blommestein said. Conveying such a rich cultural history and points of differentiation from other jerky on the market to Americans who may never have heard of biltong is one of the most challenging aspects the co-founders say they face. One way that they help consumers understand what their product is and its benefits is to use e-commerce, which allows them to provide additional context alongside images of the package versus in stores where consumers only have what is on the package to go off, Van Blommestein said. The brand also is using consumer data from Kraft Heinz’s Springboard to identify the best ways to communicate its main messages on the product packaging. “We are working on kind of revamping our packaging right now, a little bit, and that is something that Springboard has helped us with. They have opened up a lot of data to us so we and kind of understand consumer trends a little bit more and understand what consumers truly want to see, and we are able to portray that on the packaging better,”​ Van Blommestein said. Elements of the current package that the duo wants to retain in the redesign include the brown boarder around the pouch that recalls the craft paper that butchers in South Africa would use to wrap biltong at purchase. In addition, the packaging calls out in large font on the centre that the product is beef based and sugar-free. They also give premium real estate to making the product in the USA from an authentic South African recipe. Click here to see an interview with the Van Blommestein brothers.